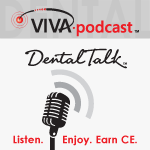 Dental podcast hosted by Dr. Phil Klein: Several years ago, Bulk Fill composites took the restorative market by storm. Since then, many of our listeners have incorporated one bulk fill material or another into their daily practice. But now there's a new kind of bulk fill from GC America. It's actually a BULK Injectable. What does that mean? Here to tell us more about it, and an expert on the topic, is Dr. Robert Marus, a general dentist specializing in cosmetic dentistry in Yardley, Pennsylvania.